Terry Curtis is a fifth-generation Texan who never tires of meeting new people, exploring homes and vacant land, searching for just the right property for a client, and overcoming the hurdles that can transpire during a real estate transaction. Having graduated from McCallum High School, attended the University of Texas at Austin, and been a resident of the Austin area for more than 30 years, Terry has his finger on the pulse of the local community! 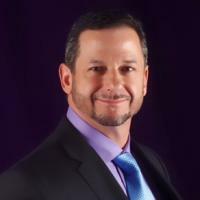 Initially becoming a licensed agent in 1998, Terry focused his early career in the residential arena where sales, leasing, and investment properties became his specialties. Yet as his entrepreneurial spirit called, Terry became a broker in 2000 and expanded his reach to include building real estate investment portfolios for both individuals and groups of investors, personally facilitating more than 50 flips in and around Austin. Having participated in and managed extensive investment/development in the UT West Campus area, Terry is a fierce and skillful negotiator with deep knowledge of construction, appraisals, and improvements—a perfectly positioned expert in commercial sales and leasing. Terry lives and works by the motto: "Don't worry, I'll take care of it." His clients soon learn that whether it's a problem to be solved or a detail to be handled, they can count on him to follow through. He's built a loyal following by always listening first to fully understand his clients' wants and needs; making sure they understand both the process and the significance of each decision they make and each document they sign; and putting their best interests ahead of all else. Whatever the need, Terry goes the extra mile for his clients. Those who know Terry would describe him as a hard-working, honest, and loyal professional. These same attributes are also evident in his personal life as a dedicated father. Terry enjoys being active with his family in the great outdoors—not hard in this beautiful city we call home.